The Coton De Tulear is a beautiful shaggy coated little dog and very often this is what attracts many people to the Coton. The Coton De Tulear is considered Hypo-Allergenic…This dog is good for people who suffers with Allergies from most dogs!! All dogs require grooming, some more, some less depending on the breed and the owner.The Coton De Tulear is considered a Non Shedding breed….. However… Everything with hair will shed or loose some hair and that includes us humans.The Coton De Tulear has hair that will inter twine into the coat when they loose some hair. If the Coton De Tulear is brushed and groomed once a week the matting will be minimal. When your Coton Baby begins to loose his puppy coat, the grooming upkeep requires more time…. This period is usually anywhere between 7 and 12 months of age and usually only lasts two to four weeks. During this time I recommend combing and brushing your Coton every other day or bring your Coton to the groomer weekly for this period. Once your Coton has their adult coat and you are over the blowing of the puppy coat…The Cotons are easier to care for…. As long as you keep them from gardening??? Typically a monthly bath and a weekly brushing should keep your Coton De Tulear looking pretty good. … Or once a month to the groomer can certainly help keep your Coton De Tulear looking sharp without demanding much of your own time grooming. 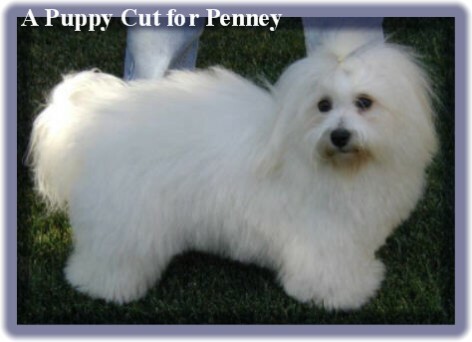 There are many Coton owners who will give their Coton De Tulear the puppy cut rather than dealing with a long coat and the constant grooming. The Show Coton De Tulear hair is not to be cut as they are supposed to have natural cotton like …very neatly groomed – shaggy little dog appearance.. 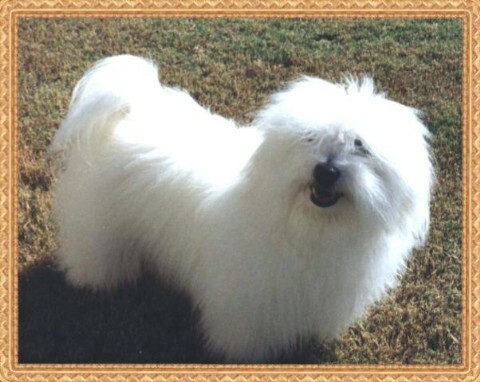 The Coton De Tulear is a coated breed and each individual Cotons coat can differ some.From how thick the coat is … to the texture of the hair being fine… to somewhat coarse…. To straight to a slight wave. Which ever type of coat your Coton has…If you give them a puppy cut or let there coats long and natural…. You can always keep your Coton De Tulear looking good with a little grooming knowledge. What do you need to Groom your Coton De Tulear?? What Do I Need To Groom My Coton De Tulear?? Fromm Hair Styling Scissors – Check beauty supply shops – Must be kept sharpened.